A lack of information about previous investments and current status of infrastructure creates a challenge for those responsible for water service provision. REACH's work in Kitui County, Kenya, aims to address this information deficit by providing a detailed inventory of rural and small town piped water schemes. The first step is piloting a Water Audit methodology that can be used county-wide. 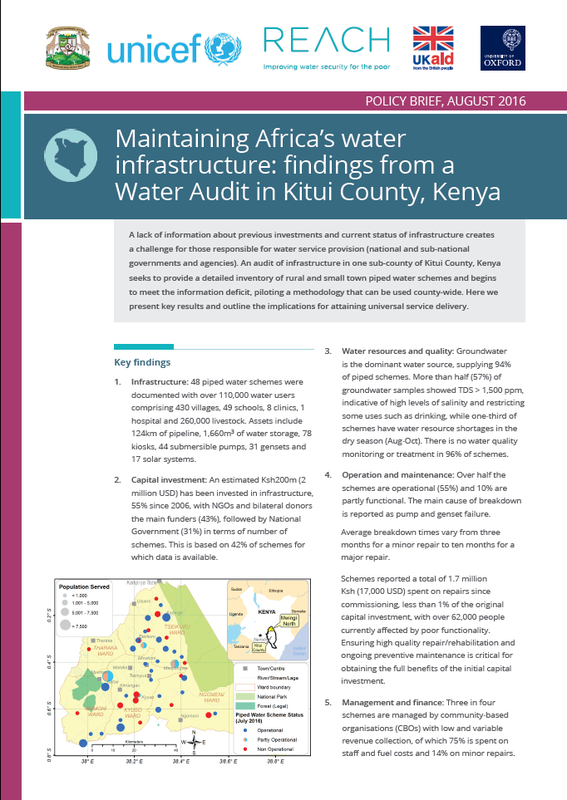 This policy brief presents results of an audit of infrastructure in one sub-county of Kitui County and outlines the implications for attaining universal service delivery.